Why Buy from an Authorized Danby Dealer? Beverage Factory is an Authorized Danby Dealer, which means you will receive the full support of both companies should you need it. For more information about Authorized Dealers and questions about Danby products, please call 1-800-710-9939. Stainless steel trimmed shelving, an all-black interior and soft LED lighting give the Danby DWC518BLS Dual Zone Wine Cooler a sleek, sophisticated look that integrates seamlessly with other professionally styled appliances. The wine refrigerator offers ample storage for up to 51 bottles, storing them on wooden shelves that glide out easily on rollers for easy access and to minimize agitation. 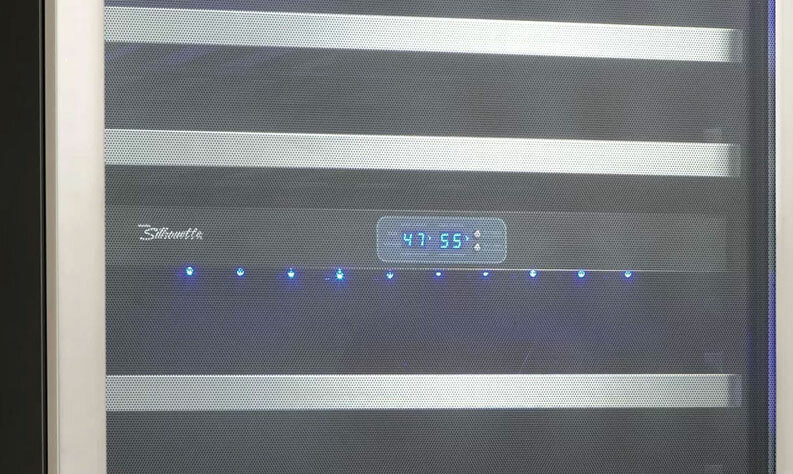 With two distinct, independently controlled temperature zones, the DWC518BLS is designed to store both red and white wines at the same time. A precise digital thermostat allows the temperature to be accuratey adjusted for each zone, while an LED display makes it easy to monitor the temperature through the glass door. The digital thermostat works with the frost-free, fan-forced cooling system to ensure a consistent temperature inside the cabinet. 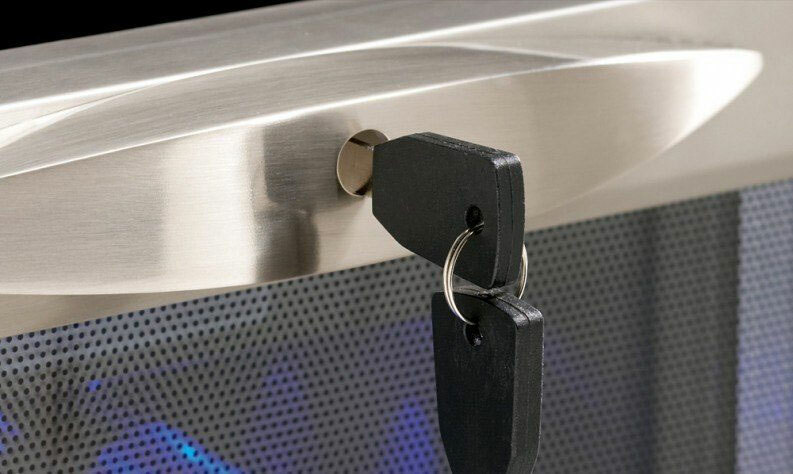 The DWC518BLS comes in black with stainless steel door trim. 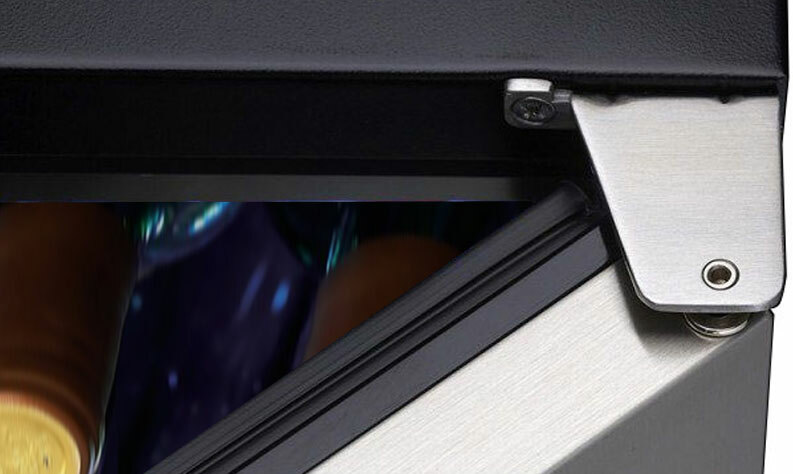 The tinted, tempered glass door is reversible and includes a safety lock and semi-flush cupped handle that doesn't snag clothing. The unit is designed for both built-in and freestanding applications. 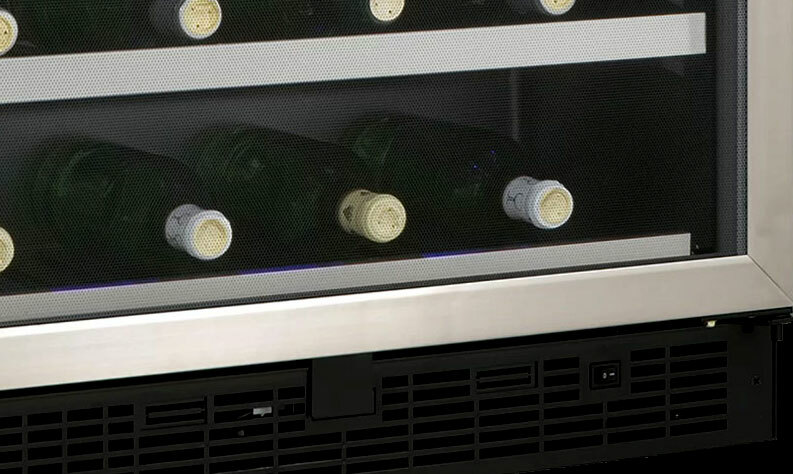 This wine refrigerator boasts a cutting-edge temperature management system. Superior fan-forced cooling removes the risks of interior climate fluctuations and inconsistencies, while the advanced airflow system efficiently dissipates heat to considerably improve the longevity of the cooling system.The purest level of refreshment has been perfected in this refrigeration center. 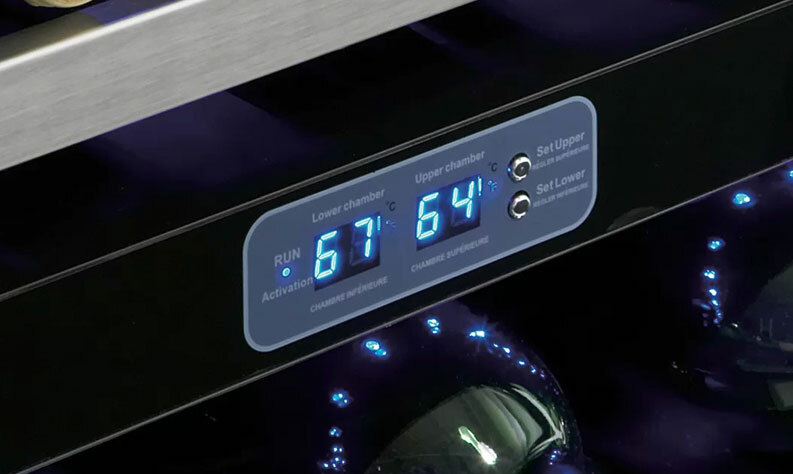 Each temperature zone can be individually adjusted using a digital control panel, allowing you to set the temperature as low as 39°F or as high as 64°F depending on your storage needs. Low E-Glass also known as low emissivity glass coating helps filters harmful UV light sealing the cold similar to a thermostat lining. The extremely thin layers of safe and low emissivity materials used in this unit reflect interior temperatures back inside, keeping your drinks properly chilled and protected. The redesigned hinge and door frame allow the door to pivot away from the cabinet when opening and closing. This improvement makes for a flush fit built-in application with zero interference with the surrounding cabinets. Consumers will love the seamless integration. Cubic Feet 5.0 Cu. Ft. Comments: Nice attractive product - have used for 3 years without a problem. Two temp compartments are really great. Beverage Factory service is excellent. Started losing temp control this year on cold section. Unfortunately, getting service help from Repairmaster is miserable - long waits on phone, incompetent staff, error-prone, not service-oriented, red tape. Well, you get the idea. Comments: This cooler is very attractive and is very quiet as well. I love the blue LED lighting and the pull ot shelves. Comments: This wine cooler works so well. Purchased it from the guys at beverage factory. They were nice and professional. I would recommend this cooler to anyone that loves to drink wine. Stainless Steel trimmed black wire shelves assist with cold air evenly dissipating throughout the cabinet for rapid cooling. 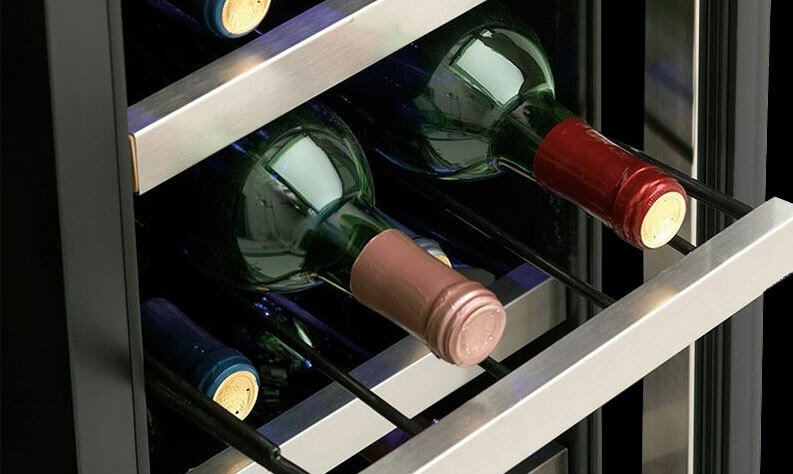 Superior ventilation and temperature management system expertly stores beverages and wines at their ideal temperature. 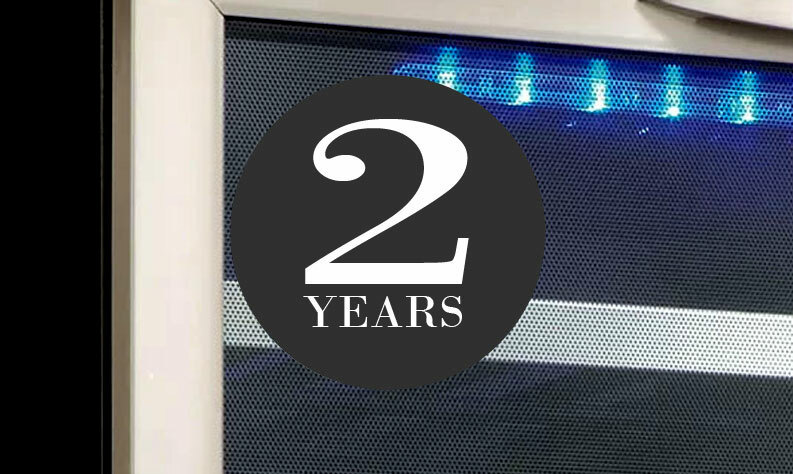 2 year warranty with in-home service from the manufacturer provides peace of mind.